3 bedroom 2 bathroom home with full 800 square foot unfinished basement. Fenced in back yard with wooden deck patio downstairs. Main level has gas fireplace, full washer and dryer and deck. 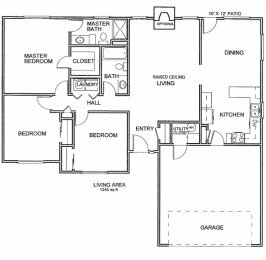 Open kitchen and eat in dining room include refrigerator, dish washer, stove and microwave. This rental is located and 1.48 miles from University of Missouri-Columbia. The property has a Walkscore of 27, so you will probably be driving or taking public transportation most of the time.